The luxurious 5* Ritz-Carlton Abama is one of the most sought after hotels in Tenerife, particularly with tennis fanatics and once you see what’s on offer, it isn’t hard to see why. 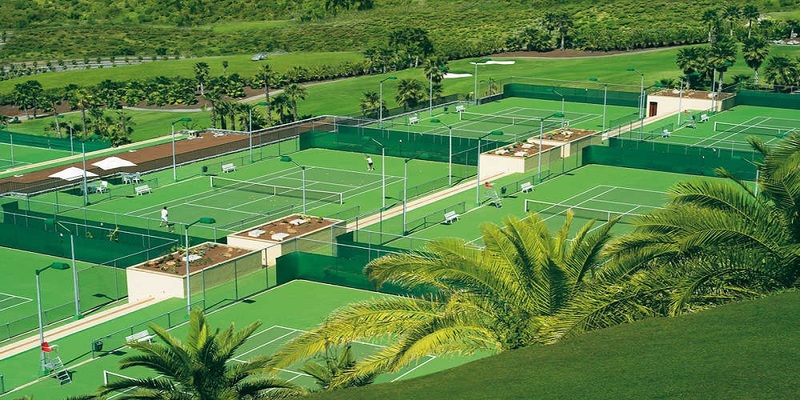 There are SEVEN tennis courts at the hotel, all of which overlook the Atlantic Ocean. These courts are of an exceptional standard and regularly host professional tournaments. The centre court has capacity for 600 spectators and the courts all have lights and flexi-pave surfaces in the style of the US and Australian Open courts. Beyond the tennis courts, you’ll also find seven swimming pools and a wellness centre. Perched on the beachfront on the coast of Majorca, the family-friendly 4* Iberostar Club Cala Barca is surrounded by breathtaking scenery in a peaceful location away from the hustle and bustle. No matter which you prefer, you can play both tennis and paddle tennis at this hotel. 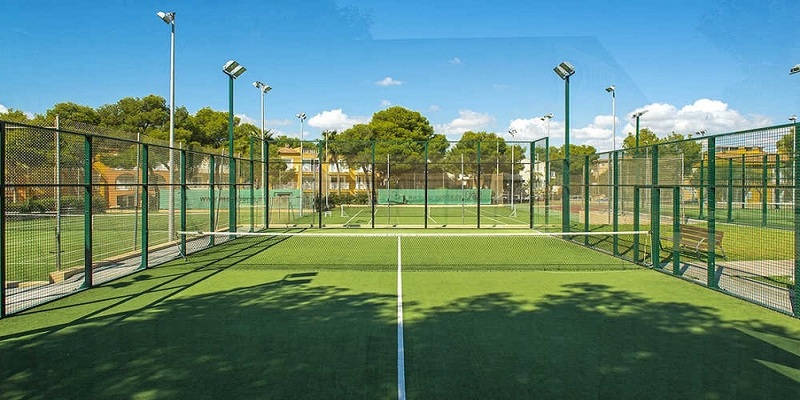 There are two full-sized tennis courts that have artificial grass, while another two courts make use of a hard floor. Classes are also available so if you need to brush up on your serving, make sure you book a class before you play. You’ll also find six swimming pools, a poolside snack bar and high speed Wi-Fi. The 4* Guitart Gold Central Park Aqua Resort & Spa in Costa Brava is an ever-popular hotel within walking distance to the beach, and the resort centre of Lloret de Mar. 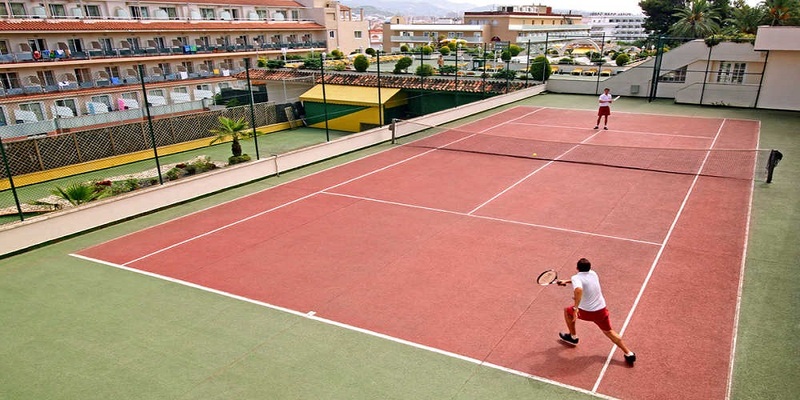 There are a number of sports facilities at this hotel, but one that really stands out is the full-sized tennis court. The court has a hard floor and rackets can be rented from the reception area for a small fee. If you would rather start smaller, have a go playing table tennis before making your debut on the big court. Cool off after a game of tennis by taking a dip in one of four outdoor swimming pools.